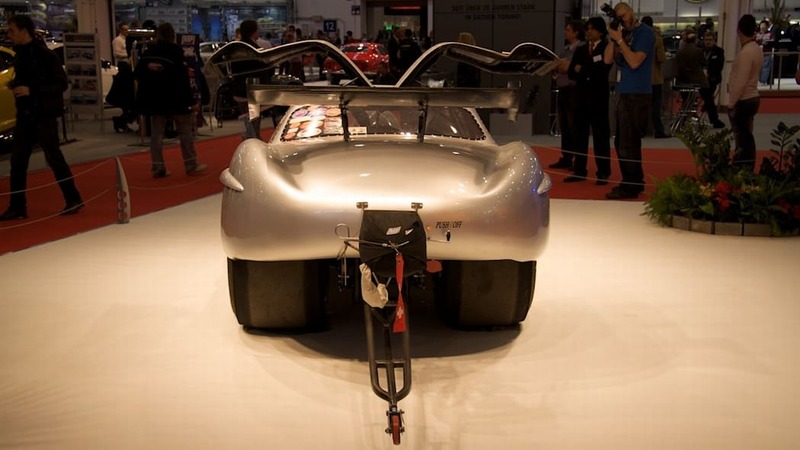 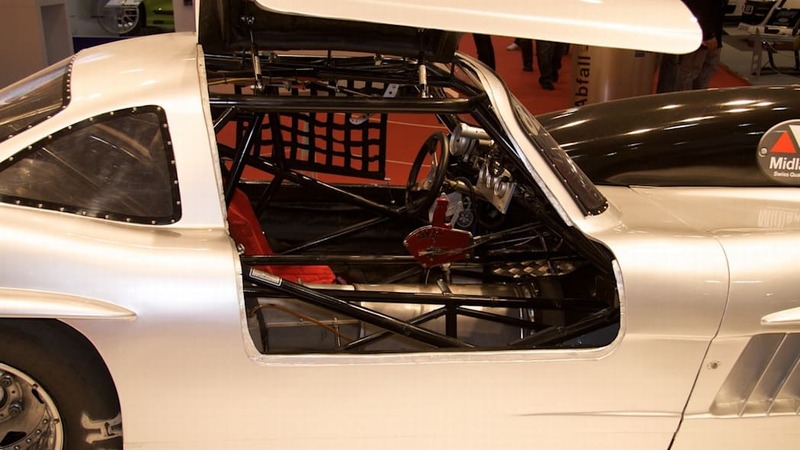 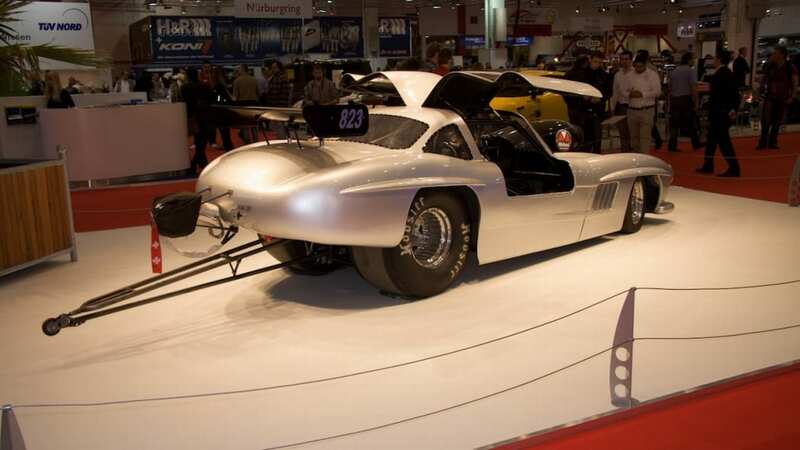 This ungainly little creature had an area all to itself at this year's Essen Motor Show. 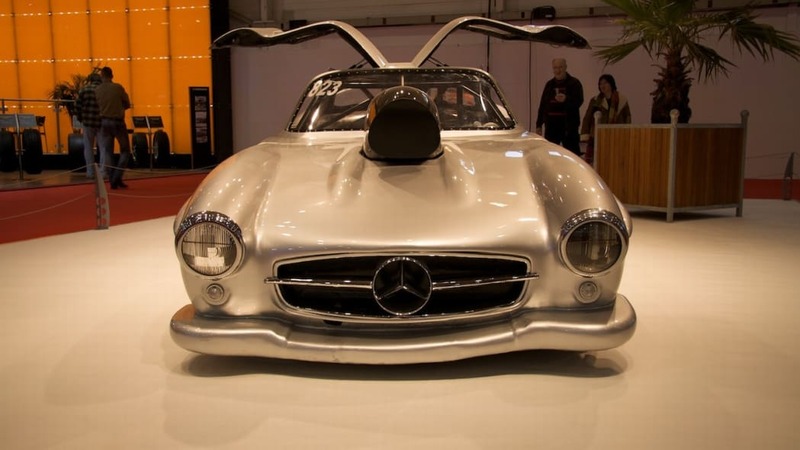 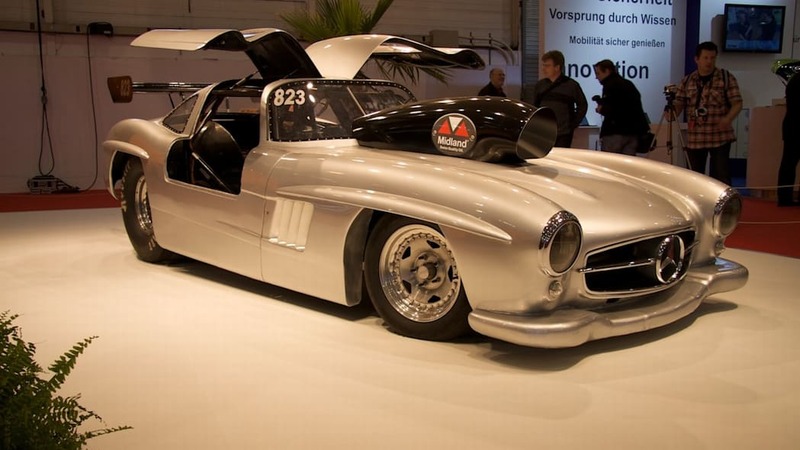 Built over four years by Swiss drag racer Stefan Winter – who is a roofer by trade – the most important thing to say is this: Winter did not mangle a genuine 1956 Mercedes 300 SL to create this beast, and we can thank all the gods that be for that. 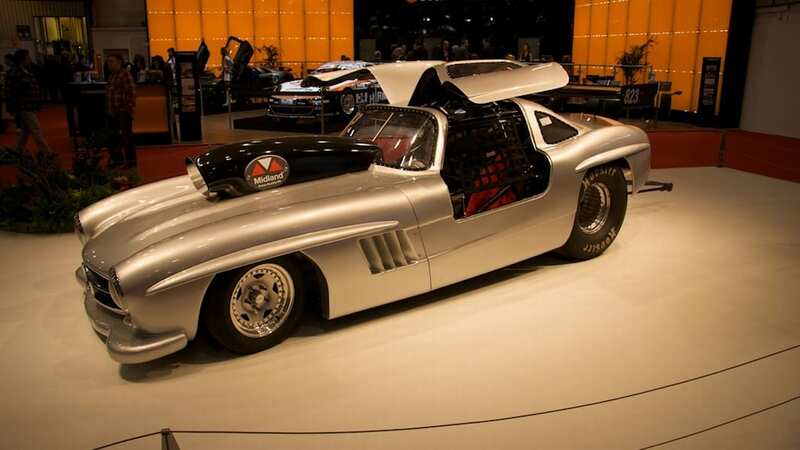 He copied the body in fiberglass and placed it over a tube chassis, hiding a small block Chevy in front that's been bored out to 422 cubic inches.